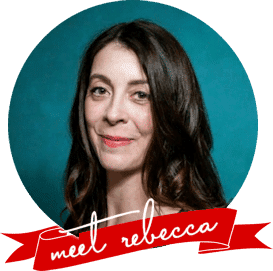 Disclosure: I’ve purchased and used Bob’s Red Mill for years because I love the quality and variety of their products, so I am thrilled to be partnering with them today to bring you this excellent, classic recipe for pure Buckwheat Crepes. Of course, all photos, recipes, and opinions remain -as always- my own. I have a long standing love for crepes that predates my time living in France. As a kid, the lacy, crisp-edged, wafer thin griddle cakes fascinated me and felt special even though we topped them the same way did pancakes; with syrup and butter. When I lived in France, I was introduced to the idea of savoury crepes. The not-at-all-sweet Buckwheat Crepes were a revelation; earthy, dark as night, and filled with cheese and ham or garlicky spinach and a fried egg. It took my love of crepes to another level entirely. 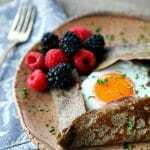 Unlike wheat flour crepes, I can’t see making a practice of rolling up a buckwheat crepe and just popping it into my mouth plain. The buckwheat gives these a much stronger flavour, and really need to be part of a larger plan. That said, though, these shine where wheat flour crepes do not; they emphasize and augment the strong ingredients that they wrap around. Asparagus, ham, fried egg, and Swiss cheese? 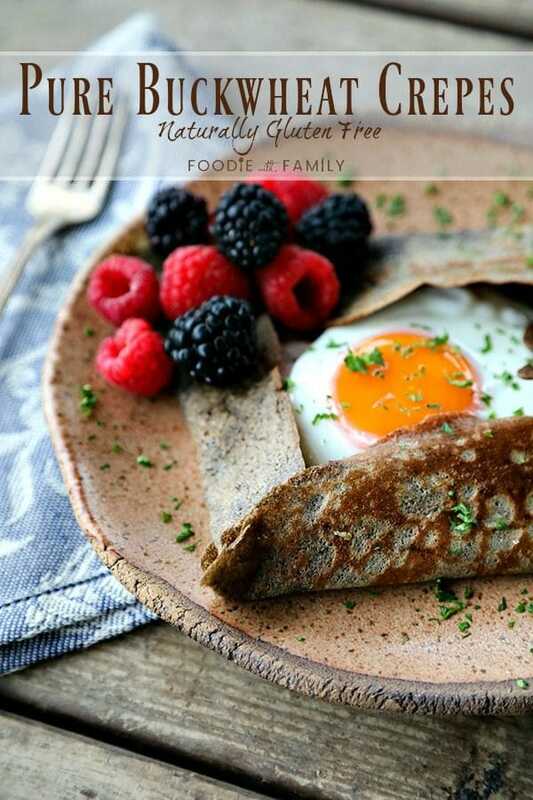 Those taste positively amazing nestled in a buckwheat crepe. And the crepe isn’t a mere vehicle at that point; they’re part of the beautiful harmony of the dish. 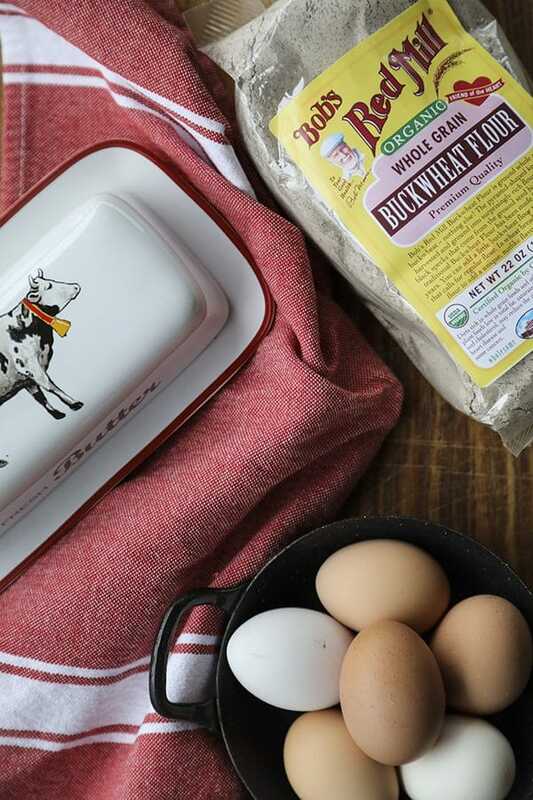 The buckwheat flour is the star of the show here and I find that using an excellent quality buckwheat flour like Bob’s Red Mill helps makes all the difference in flavour and helps eliminate any fussiness or tendency to fall apart. I make and rest my crepe batter in my blender carafe. Then when the time comes to thin it, I also thin it in the blender. I find it far easier to pour the batter onto my hot crepe pan directly from my blender than to use a ladle for the job. This is a matter of preference though, so if you feel more in control using a ladle, do so by all means. As far as crepe making vessels go, you have some flexibility. I prefer to use this beautiful crepe maker because it maintains temperature flawlessly and has handles to lift it by to swirl the batter evenly over the cooking surface. My second choice is this excellent crepe pan that doubles as a wonderful pan for cooking eggs. Third choice is any good slippery non-stick pan. 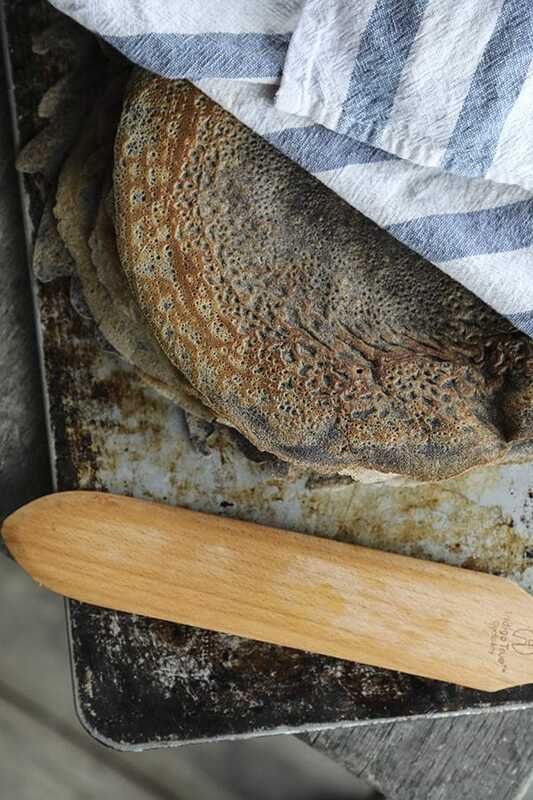 When it comes to tools for flipping crepes, thin is the name of the game. I love this traditional crepe turner because it has beveled edges that allow you to get under the crepes easily and is the perfect width and length to help flip them without damaging them. As an added bonus, it is non-stick pan safe and won’t scratch any pan surfaces. If this isn’t available or you can’t justify owning one, two of these little flexible turners slipped in parallel under the crepe from opposite sides will work well, too. Another good choice is a fish turner because it is thin and flexible. 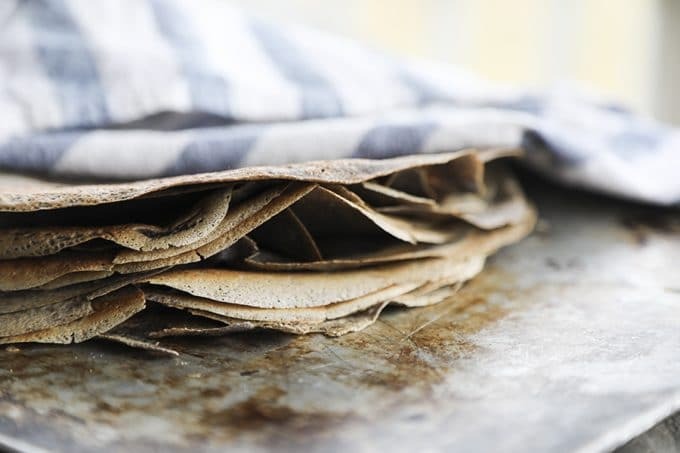 One of the things I love best about pure buckwheat crepes is that you can make a pile of them and wrap them tightly to store them in the refrigerator for up to 5 days or in the freezer for up to a month. That means that for a truly extraordinary, nutritional powerhouse of a breakfast, all you need to do is reheat it and fill it. Add the milk, eggs, butter, buckwheat flour, and salt to a blender and blend on low for about 30 seconds, or until smooth. Make sure the lid is tightly in place and stash the carafe in the refrigerator for at least 2 hours, but preferably overnight. Just before cooking, add 1/3 cup of water to the blender and pulse to combine until smooth. Place a non-stick skillet or crepe pan over medium high heat, brush with melted butter or neutral oil, and pour just enough batter into the pan to cover the surface of the pan thinly while swirling the pan. You can also use an electric crepe griddle/maker using the same instructions. Most electric crepe pans come with handles on the side for swirling to cover the surface with the crepe batter. Cook for about 1 to 2 minutes, or until the surface has dried, the edges of the crepe begin to curl up slightly, and the crepe lifts easily from the pan. Use a thin, flexible spatula or crepe turner to slide under the crepe and flip. Cook the second side for about 1 minute, then transfer to a plate in a warm oven, covering with a towel. Repeat until all of the crepe batter is used, stacking the finished crepes on top of each other and keeping under the towel. You can use the crepes immediately, filling them with fried egg and garlicky spinach, ham and cheese, or any other number of savoury fillings. You can also store these, tightly covered with plastic, in the refrigerator for up to 3 days, or in the freezer for up to a month, reheating before serving. Do you love these Buckwheat Crepes? Try these other classic French dishes! How wonderful! 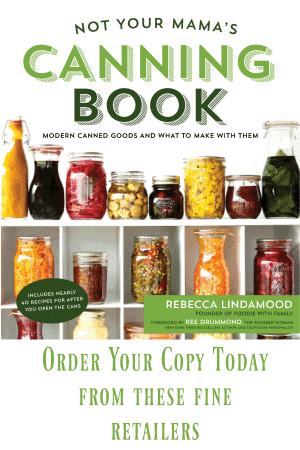 I love their “sturdiness” (the better to fill them with fabulous goodies! ), and I really enjoy savory crepes, too. I love crepes and most often am not able to fill them with anything because I’m eating them as soon as I slide them off the pan. I’m intrigued by the flavor of these – they look so good, so will have to give them a try! Thanks so much, Lynne! 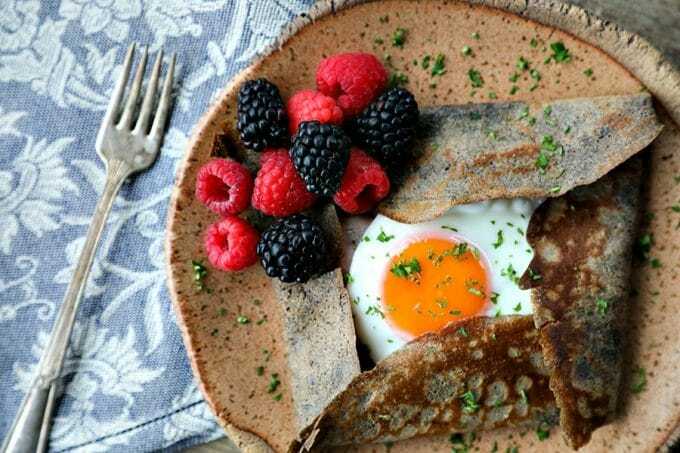 I love buckwheat crepes because they just plain have more character than wheat flour ones! I think you’ll love them! You lived in France??? Lucky! These remind me of the crepes I order at my favorite brunch spot…I am so excited to try these! I was VERY lucky to have parents who supported my efforts to study abroad. 🙂 Thanks, Mom and Dad, if you’re reading this! Love this idea! I have some of their buckwheat flour in the pantry – have to try this recipe! I’m wondering if you have any suggestions for the best non-dairy “milk” to use – or if it’s even worth trying? I was thinking of a mixture of coconut and oat or almond – the coconut for texture and the nut to cut the flavor. Thanks! Hey Stephanie- I’m afraid I haven’t tried making these crepes with non-dairy milk. I tend to go for Almond milk when I cook with non-dairy, but a friend uses pea milk and loves it. Please let me know what you end up using and how it turns out for you! Thank you so much for getting back to me and letting me know what you used and how it worked! That is great to know for our dairy free friends!